that will add privacy and protection to your property. Many businesses on a regular basis encounter un-authorised access as well as visitors being on site when they shouldn't be. 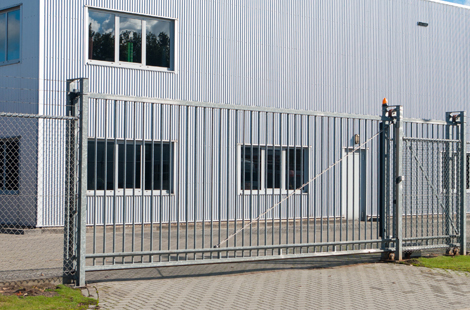 Here at Aztek Services our team have a wealth of experience in the installation and maintenance of automatic gates that help to create a constant physical barrier to your premises. 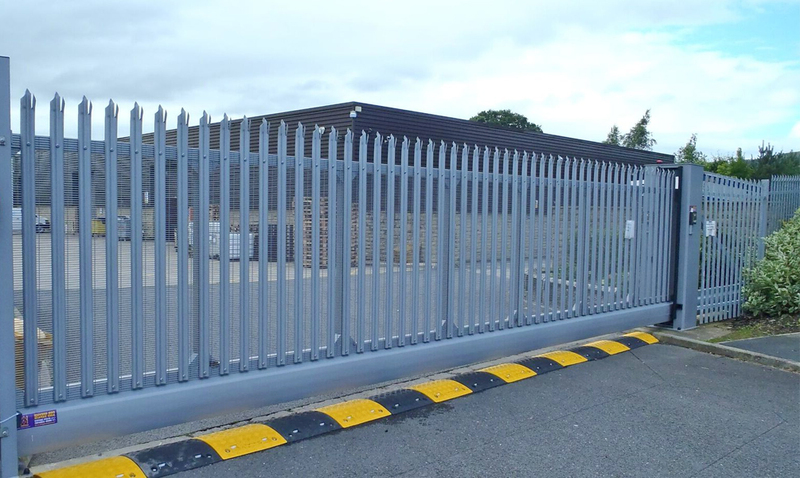 An automated gate, along with access control, helps to create the constant physical barrier and ensures un-authorised access is completely reduced. For more information about automated gates, please get in touch with our team today who will happily assist you in your enquiry. We can install a wide range of automatic gates for home owners as well as for commercial premises. An automated gate is best suited for commercial premises as there maybe more assets to protected and an automatic gate can provide that extra level of security. Working across Cambridge and the surrounding areas, we can install a wide range of gates that include: cantilever gates, sliding gates, speed gates and much more. For more information about the different types of automated gates we install and maintain, please get in touch with our team today who will happily assist you. If you are looking to add a little bit more security to your home then one of the solutions you can take is to have an automated gate installed. Many benefits of having an automated gate installed can include, extra level of security to your home, stop un-authorised access, keep intruders out and so on. For more information about this service, speak with our team today who will happily assist you in your enquiry. 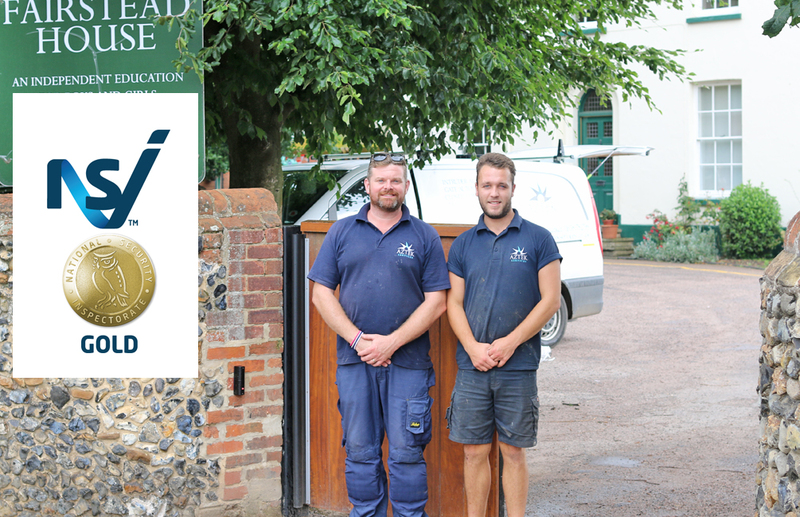 Here at Aztek Services we are NSI Gold accredited for our services which means we have been recognised by NSI for our attention to detail and ability to ensure all security systems are installed to the highest of British Standards. 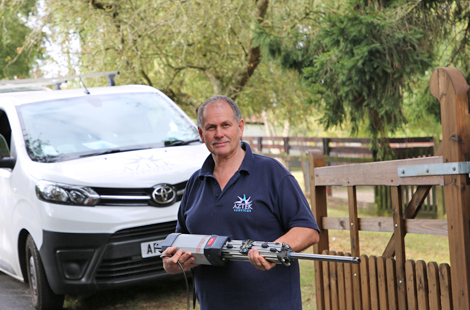 With their knowledge and expertise of the industry, our engineers are in hand to assist you in you enquiry and help find you the perfect security system for your property.